At the end of the Sail Sydney Olympic Classes Regatta downunder, British competitors finished on the Podium in the Finn and Laser events. Britain’s Ed Wright took third place in the Finn event and Lorenzo Chiavarini was third in the Laser event. 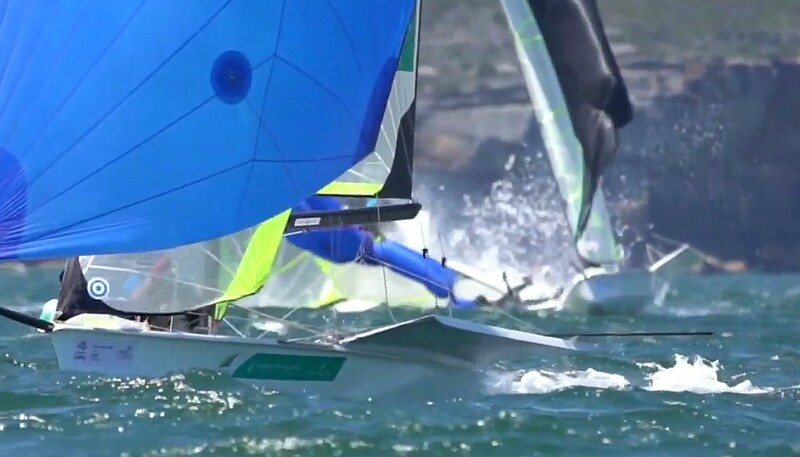 Henry Wetherell finished seventh in the Finn event, and he and Wright will be joined by Giles Scott for the Sail Melbourne International (13-16 Dec) regatta. Nicholas Heiner of the Netherlands won the Finn class, one points ahead of Josh Junior of New Zealand after eight races. In the Laser class, Aussie Matthew Wearn won by six popints from Kiwi Sam Meech after eight races. In the 49ers, David and Lach Gilmour AUS won by 14 points from NEEDHAM, Tom Needham and Joel Turner. While in the 49ersFX, Tess and Jamie Ryan of Australia had a 20 point lead from Anna yamazaki and Sena Takano of Japan. In the Nacras 17, Australia’s Jason Waterhouse and Lisa Darmanin won by four points from Gemma Jones and Jason Saunders of New Zealand after 12 races. Aussie Otto Henry won the Open Radial event, with Mike Compton second and Mara Stransky of Australia third. In the men’s 470 class, Mat Belcher and Will Ryan of Australia with Daichi Takyama and Kimihiko Imamura of Japan second, and Spain’s Jordi Xameer and Nicolas Rodriguez third. In the women’s 470, Nia Jerwood and Monique Devries won by two points ahead of Frederike Loewe and Anna Markfort of Germany after eight races.